Since the Central Mediterranean route became the main source of irregular arrivals by sea to the EU much political energy has been spent on how to solve the problems arising from the uncontrolled movement of irregular migrants. So far, little progress has been made in developing a humane and medium-long term plan, which protects migrants as well as looking after the interests of the EU. 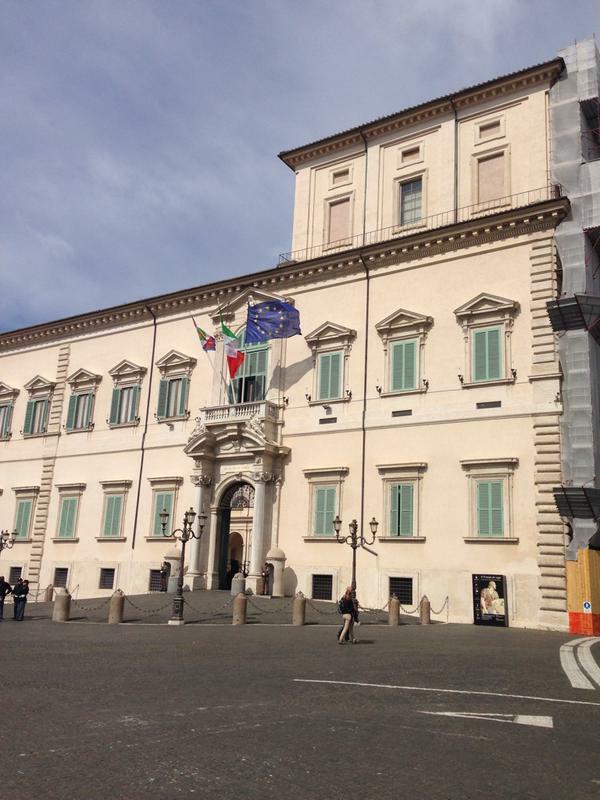 It is against this background that the European Stability Initiative (ESI) has developed a ‘Rome plan’ for a credible and sustainable asylum and migration policy in the Mediterranean. Gerald Knaus, director of ESI and the architect of the (in)famous EU-Turkey deal, wants, through this plan, to make the case to ‘take-back realism’. He intends, in fact, to develop a strategy that can put together principles, tools and interests. Given the paucity of proposals for realistic strategies that guarantee the EU’s values whilst also being politically implementable, this strategy should be welcomed as a contribution to debates on sustainable and humane migration policies. In this paper, however, I criticize some shortcomings of the ‘Rome Plan’. I argue that, overall, this strategy does not offer a viable alternative to the status quo as: 1) it fails, yet again, to give adequate space to the interests of key stakeholders, namely African countries; and 2) it is framed by a narrow and simplistic narrative that understands migration as being driven by the ‘pull factor’, created by the possibility of settling irregularly in Europe. I conclude by suggesting that, while it is important to foresee a plan that also includes elements such as return with Third Countries (TCs), there is no shortcut to this. Cooperation partnerships need to be strengthened with TCs keeping in mind that wins and losses should be equally distributed between all stakeholders involved. The principle of the ‘Rome Plan’ is straightforward on paper. Unsurprisingly, at the core of ‘take back realism’- as defined in the ESI’s proposal1 – are ‘take-back deals’. There will be clear and speedy return procedures with African countries, and a date after which citizens of that countries will be taken back from Italy, a ‘Day X’ after which the probability of being returned is estimated at 70%2 . In exchange for agreement on these return procedures, EU Member States would offer an annual contingent of regular permits for workers and students, for the next five years, in higher numbers than those returning. In this way the Nigerian government can defend itself from internal pressures. According to the plan, this will create a deterrent for future migrants given the higher risk of being returned. This will be achieved by also promoting what is considered to be the ultimate interest of Africans, legal migration channels. Let’s take the case of Nigeria. 34,551 irregular Nigerian migrants arrived in Italy in 2016, of which three out of four don’t qualify for any form of protection. It is evident how compelling it is for Italy to develop a system that: 1) guarantees fewer arrivals; and 2) ensures return journeys for the many migrants without legal status in Italy. However, the practicality of the plan is called into question as soon as we look at the numbers involved. In the Aegean, departures of migrants from Turkey to Greece could be stopped almost immediately. However, the journeys of Nigerian migrants leaving for Europe start many months before. As such we might expect that, taking for granted the deterrence principle of the Rome plan, migrants would only start to diminish a few months after the first ‘effective and visible’ returns take place. This means that for deterrence to work, a country like Nigeria would need to accept as many as 5,600 irregular migrants3 in a five-month period. As returns to Nigeria in 2016 reached a mere 165, combining voluntary and forced returns, it is difficult to see how the authorities could ever reach these numbers, with Nigeria accepting this drastic increase. It is suggested that this should be done by offering more legal work/study permits than returns; this would mean handing out at least 6,000 work/student permits to Nigerian citizens in the same five-month period. In 2016, work permits issued by the whole of the EU MS were 1,869, while 8,025 student permits were issued. Given that the returns would only be from Italy, it is highly unlikely, in view of the current state of solidarity between European MS, that such a sizable increase of permits to Nigeria would be shared out among the MS.. Once we remember that the numbers for Nigeria are just one country, then the plan as a whole becomes very unrealistic. Finally, there is a further internal political problem that is not fully addressed in the Rome Plan. As previously stated, the plan is supposed to diminish migrant arrivals by focusing on returning migrants after ‘Day X’. By extension, this means giving up on returning irregular migrants that arrived in tens of thousands in the past year(s). This is, in addition, to the thousands of migrants that according to the very Rome Plan would not be returned, not being needed to trigger the ‘deterrence’ mechanism. Firstly, this would be a political choice that few would be ready to make in the EU. Also, and critically, what to do with the ‘unreturnables’? A plan that tries to conjugate values with interests needs to be comprehensive enough to consider the future of these ‘unreturnables’. This is a growing reality across Europe, as most evident in the paperless migrants that occupy the streets of many Italian cities. Speaking at an event organised by Centre for European Policy Studies (CEPS), Knaus asserted that the political space opened by the reduction in numbers would allow for the problems of already arrived migrants to be catered for in different ways. There might, for example, be regularisation programs. If the plan worked, and control was put upon migration in the Mediterranean, this could create some political space for more progressive actions on migration. However, it is hard to envisage such a regularisation of irregular migrants any time soon, given the attitudes of policy officials and politicians across Europe, predating the migration crisis. These consider regularisation as a further strong ‘pull factor’. This could much more easily be carried out if irregular migrants were distributed across MS. But looking at the reactions held in different MS as regards refugees, the redistribution of ‘economic migrants’ would seem even more unrealistic. This would leave once again the issue of ‘unreturnables’, the ‘elephant in the room’ of migration management in Europe, and quite possibly, once again, on the streets of Europe. Of course, the Rome Plan, as a strategy that considers the interests of all actors involved, also includes what is considered to be the key interest of African governments, namely financial remittances; in many cases these make up a sizable amount of the countries’ GDP4. In this regards, the Rome Plan states that ‘it would have no direct impact on current remittance flows’, hence not breaching the core interest of African stakeholders. This may or may not be true. It is hard, after all, to calculate remittance levels in a context of changing dynamics between the diaspora and the country’s government. The plan, nevertheless, fully ignores the political trade-offs this may have for African governments, thereby ignoring a fundamental interest. Migrant communities, families and friends, are all voters, as well as migrants themselves. Internal social and political dynamics create and mobilize a substantial amount of political capital and support, or lack thereof, on the basis of positions for migration and Diaspora groups. It goes without saying that forcibly returning such migrants is not much appreciated. Mali, one of the top priority countries according to the Rome Plan, is a case in point. On 11/12/2016, the Dutch government was informed of the success of a visit to Mali, on that same day, by its Minister of Foreign Affairs Bert Koenders, allegedly ‘concluding a migrant return agreement with Mali for the EU’5 . This news was promptly picked up by many media outlets across Europe, and in Africa as well. This led to an outcry in Mali, ‘scandalised’ by how its government failed to protect its citizens vis-a-vis the EU. As a member of the Diaspora stated to the Mali Jet paper, ‘we contribute €120 billion each year to Mali, is that not enough for Mali to protect us rather than to betray us and abandon us? I feel ashamed of being Malian’ 6 . This reaction led the Malian Minister of Foreign Affairs Diop to rectify his position. Indeed, after only ten days from the signature of the joint Mali-EU communication, he stated that no actions would be taken as regards returning Malians from the EU. This instance clearly exemplifies a problem that is intrinsic in European relations with third countries. Namely we believe migration is a politically-charged element for European citizens alone, and we largely ignore the consequences of actions for African public opinion. The dire need that was felt to publicize and brand it as a return agreement, despite the joint communication signed encompassing much more than just return, clearly shows how this was a political operation meant to speak to a European public. Strategic interests in relations with African countries as well as internal consequences for Mali were brushed to one side. This big step back rather than forwards in relations with Mali on migration management, perfectly demonstrates a problem of the current state of relations with African countries: a top down approach that ignores their political constraints. Critically, this is not addressed and, instead, is replicated in the Rome Plan. Even if, as Knaus suggests, returns could be made in small number to trigger the deterrence of further migration, making these few returns highly visible will have a cost for African governments that cannot be offset by some legal permits: in particular in light of the small numbers that could be given legal permits given the current attitudes to ‘economic migrants’ across the EU. This is the real trade-off that is missing a solution, because too little political energy has been given over to it, not least because this may require the EU to take a step back and accept it has to compromise politically to make sustainable progress. If such a quid pro quo was that easy to reach, after twenty years of pushing on the return’s agenda, the EU would probably have already found a way to offset this political cost in African countries, through funding or permits alone. So far, I have criticized some aspects of the ‘Rome Plan’ while following its core principle: deterring irregular migration by visibly reducing the possibility of irregular settlement. Having ascertained some shortcomings even in that way, I believe that the fundamental flaw of the plan lies in its reductive and simplified view on the drivers of migration. To believe that migration will drastically diminish through visible returns signifies defying years of research on the drivers of migration. These are widely considered to be relative income and wealth inequality, as well as conflict and political instability,7 . The complexity of the drivers of migration may, indeed, also include some factors dependent on internal choices of destination countries. But the bias that underlines the ‘Rome Plan’, and that the MIGPROSP project find is shared by various policy officials in destination countries, views migration as directly dependent on a pull factor. If this could be eliminated, goes the logic, migration would be reduced or even halted. It may be tempting in political terms to portray migration as functioning in this way. But extensive research on the drivers of migration demonstrates that actions taken with this understanding in mind would be largely frustrated. They would not lead to an abrupt fall in the number of migrant arrivals. In practice, the Rome Plan further develops what has essentially been at the base of many ‘deals’ of European countries with migrant origin countries. To use but one example, Italy has based much of its relations with Tunisia in the past 25 years, and especially prior to the Arab Spring, on recurrent deals that balanced aid and legal migration quotas with the return of irregular migrants. As Knaus suggests 8, it is crucial to learn from what has worked and what hasn’t in those 25 years of external relations of migration. Looking back at when these deals started to underpin the external governance of migration in the 1990s, and seeing how this worked out until the current state of things, I believe that , the lessons to be learnt are other. Appealing as it may be to treat migration governance as the simple management of migrants across borders, the inescapable reality is that the governance of migrationmigration governance needs to consider its relation to the economic, political, social, demographic and environmental systems that underlie migration. This necessarily needs to be reflected in external relations on migration, in a way that render short-term ‘deals’ redundant when they are not framed within comprehensive cooperation partnerships on migration. Building on what has worked, a case in point is the example of Spanish Moroccan relations. These two countries rapidly learnt from the failings of a transactional relationship in the 1990s and developed a much broader form of cooperation that encompasses the comprehensive strategic interests of both partners, developing a context of mutual trust. What MS should realize is that given the regional dimension of migration, with political consequences moving across borders more rapidly than migrants themselves, the need to develop a broader EU offer to partnerships is great. The Partnership Framework approach of the Commission was developed in this way, but fell short of the much needed support of MS in a comprehensive manner, thus becoming the synthesis of the shortcomings of a European external migration governance, whereby the Commission/EEAS is left to a lot of stick but few carrots. In light of this, the proposal of the Rome Plan for a coalition of willing MS to pool work and student permits is, indeed, a laudable suggestion. The Joint Valletta Action Plan did foresee this as the way forward, yet once again this never materialized, lost within the eighty nine other ‘priorities’. The Commission, in its Communication on the implementation of the European Agenda on Migration, has now taken a more pragmatic approach, looking for interested MS to start ‘pilot projects on legal migration’, potentially with a selected number of African countries. The success or failures of projects like this, driven by coalitions of willing MS, will tell us if the EU is ready to develop an external approach that may be conducive to stronger cooperation partnerships with Third Countries. This may, in fact, show whether the EU is ready to start taking the external governance of migration seriously, finally recognizing the needs and interests of origin countries and their governments, key stakeholders for making progress in managing migration across borders. By so doing, steps will be taken to develop a new context of trust and partnership, largely frustrated in the past by the EU’s insistence on its own strategic interests. Of course, these should not –and cannot –be scrapped, but a better realization of what these interests are should go, hand in hand, with the acknowledgement that, in its toolbox, the EU has no magic solution to strike short term deals of whatever kind. Aid and development assistance are peanuts compared to the billions of dollars that TCs receive in remittances. Conditions in Europe are, meanwhile, far from ripe to mobilize a critical amount of work permits that could sway TCs to suddenly rethink their relations with the EU. It is essential that true partnerships are developed, where wins and losses are distributed across stakeholders, within a context of trust between actors with an equal standing. Within such a context, small but steady progress may be reached on returns and border management, with African countries feeling confident that they would not be the only ones taking the hit. ‘Working together is only possible if there is trust and respect’, said Minister Koenders after his trip to Mali. The reactions of Mali to the publicity surrounding the mission shows how these two pillars of a cooperation partnership cannot stand if the starting point of the discussion is return. For this reason the ‘Rome Plan’ pivots upon a recipe that has already been shown not to work, as once again it starts with the interests of European MS, whilst not adequately reflecting those of African partner-to-be countries. The premises of the Rome Plan, namely combining principles, tools and interests, should be the departing point for a much needed pragmatic solution, which may open political spaces in which countries can tackle issues such as regularisation and economic migration by lowering the salience of migration as an uncontrolled phenomenon. This may include, of course, return and readmission, as an important component for opening such political spaces. However, in order to achieve this, there are no shortcuts. Building from what has not worked in the past twenty years, it is important that relations with TCs are reframed, understanding that, in order to achieve any substantial objectives, political trade-offs for EU MS will also be necessary. For this reason, knowing the internal difficulties the EU is facing on the topic, it is unrealistic to expect the EU to be equipped to develop tools that can actually promptly deliver on its interests, while also considering its principles. This will be at the basis of any progress in cooperation with African countries on migration, ultimately pushing stakeholders to understand not only the challenges of migration, but also its opportunities. Luca Lixi is a doctoral researcher at the University of Sheffield, conducting research on migration governance in Europe as part of the MIGPROSP project. Read more about his work here. Migration Governance in South America: Where is the region heading? Migration Governance in Uruguay: An “Adaptive” Approach or Something More?